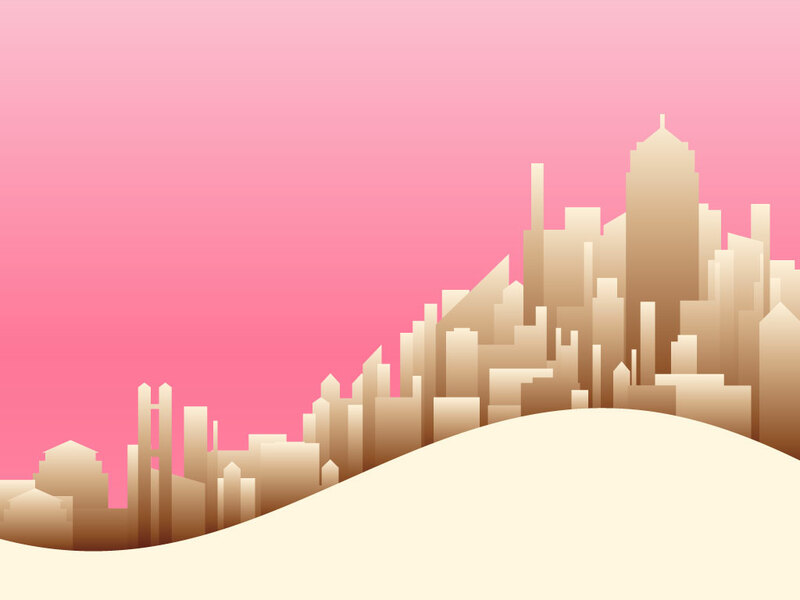 Vector illustration of a cityscape made up of simple silhouette style buildings sitting on a rolling hill. Each of the buildings is filled with a brown and cream gradient and creates an overlapping effect giving it depth. The free download is reminiscent of the futurist art of the early 1900's. Tags: Buildings, Future, High-Rise, Landmarks, Modern, Skyline, Skyscrapers, Town.